Your search for the best aircraft servicing business ends with Metrix AV. Our team consists of A&P and IA mechanics who are certified avionics, highly skilled technicians (AET), and radio licensure (GROL) qualifiers. We are an innovative aircraft servicing business specializing in avionics and VIP installation, maintenance, and repair. With our mobile services we are able to work on our customers’ aviation needs at their preferred location. By the way, that's Todd on the right using our excellent Sun Avionics, AV-17, professional avionics ramp tester. Why Choose Our Aircraft Servicing Business? Our mobile service reduces downtime, expenses, and complex logistics. 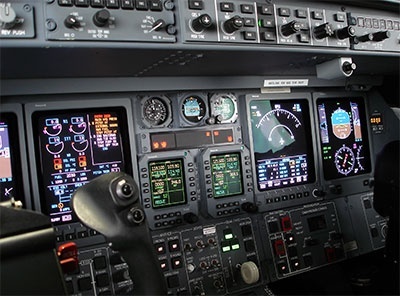 We offer exceptional avionics and aviation services. We offer ADS-B expert guidance and installation. We offer pitot static services per FARs 91.411 and 91.413. We do rapid response mobile repair deployment. Call 201-280-3525 for scheduling and quotes. Metrix Aviation & Avionics, LLC is a highly recommended aircraft servicing business. We provide high-quality mobile aircraft services to our clients. Browse through the rest of our website to learn more about our company and the various services we offer. We look forward to working with you!